What seems like a very long time ago, I was a half decent athlete. As a youngster, I played enormous amounts of Rep. team Hockey (mostly AA) and Rep. team basketball in addition to High School basketball. Hell, our high school Basketball schedule rivaled the NBA schedule. One year I played 68 games. 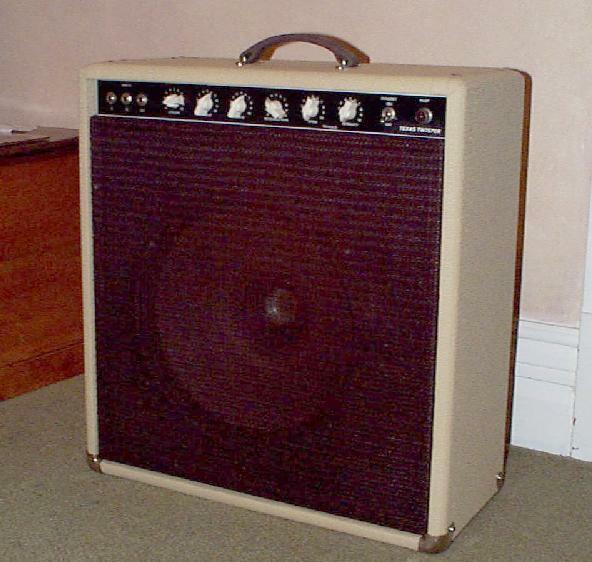 I sold my Custom-made Templeton Texas Twister Combo Amp (John names them instead of serial #'ing them, cool eh!!!) to one of my favourite customers recently. At least I know he went to a good home. Read more about Ones that Got Away!!! Although, I have been selling off a great deal of my gear recently, I still have tons of old pedals, guitars and amps. A real highlight for me was getting to meet Buzzcocks at their last Toronto show. We had backstage access courtesy of Mike Robinson from Myrareguitars.com. Mike has been supplying the guys with some Eastwood guitars recently. Pete has been using the Ultra GP and Steve uses a P90 special. I had the opportunity a few years ago to meet and hang out in the studio with Rock and Roll Legend, Sylvain Sylvain of the New York Dolls the last time he was in Hamilton. Heck, I even sold him a TV yellow Tokai Les Paul Jr. which he ended up using on the session and the rest of his tour. He was the coolest, most down to earth guy and it was an extraordinary pleasure to meet him. definitely, try to catch him on tour. Without the Dolls, there really would never have been Punk rock. As far as I am concerned, Syl and the Dolls should be inducted into the rock and Roll Hall of Fame.